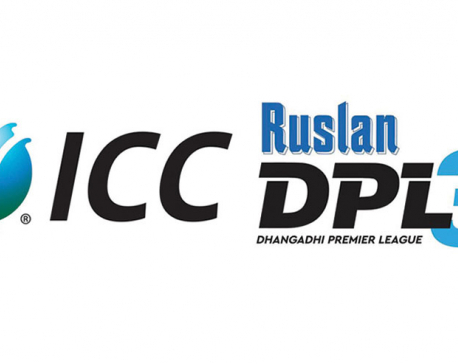 KATHMANDU, Feb 11: Rupandehi Challengers has defeated Mahendranagar United by two runs at their second match of the ongoing Dhangadhi Premier League held at Fapla Cricket Ground in Dhangadhi on Monday. Chasing a 112-run target set by Rupandehi, Mahendrangar could notch up only 109 runs in the allotted 20 overs, losing eight wickets. Mahendranagar remained under pressure after Mohammad was out for the first ball of the last over while the team was in need of 12 runs to win the match. Mahendranagar lost one wicket at the final over and could collect only nine wickets. Subramanian top-scored with 25 runs. Similarly, Rohit Paudel collected 24 runs, Mohammad contributed 12 runs while the other batsmen could not reach double-digit runs. 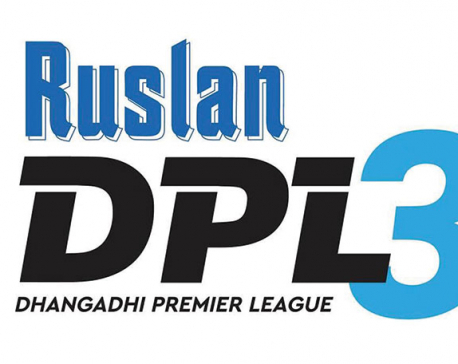 Rupandehi’s Bikram took three wickets while Puneet Mehara took two wickets. Earlier, electing to bat first after winning the toss, Rupandehi had collected 111 runs. Rupandehi’s Sumit Maharjan top-scored with 27 runs, Binod Bhandari made 19 runs while Bikram scored 16 runs. Mahendranagar’s Siddhanta Lohani took three wickets while Avinash Bohara and Sagar Dhakal grabbed two wickets each. 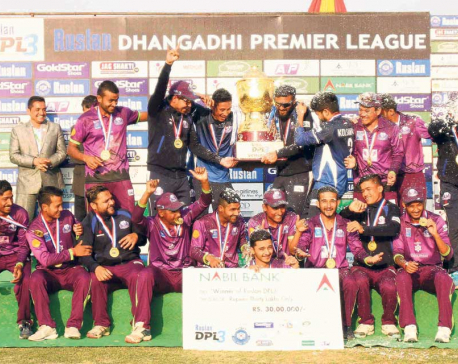 KATHMANDU, Feb 16: Dhangadhi Stars is out of the Dhangadhi Premier League after the rain disturbed the match against Mahendranagar.